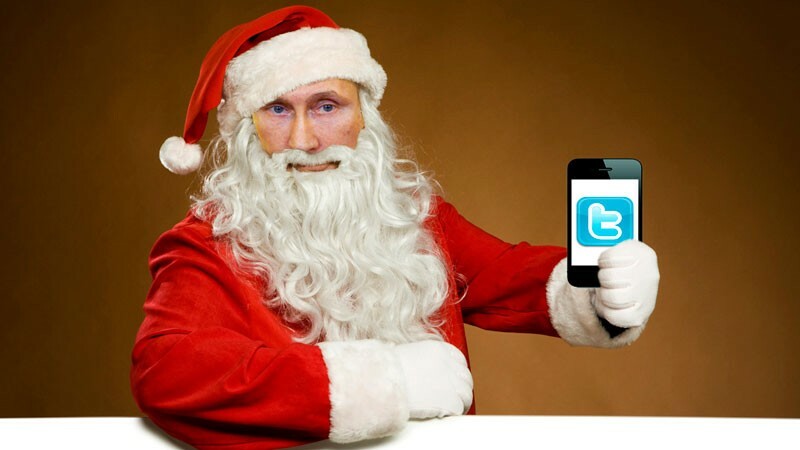 Regulatory Christmas comes early for Twitter in Russia this year. Image edited by Kevin Rothrock. State officials have announced that Twitter can ignore a new law coming into force on September 1 that will require online services to store all Russian user data on servers located inside Russia. On July 17, Alexander Zharov, the head of Roskomnadzor, the Kremlin’s media watchdog agency, told the press that federal censors don’t consider the kind of user data Twitter collects to qualify as “personal information” under the new data-localization law. According to Zharov, there are roughly 2.6 million companies in the world that store the kind of user data identified by Russia’s new law. Businesses on this list include AliExpress, Booking.com, Uber, PayPal, Samsung, and Lenovo—all of which have agreed to buy or rent servers inside Russia, Roskomnadzor claims. In addition to letting Twitter off the hook, Roskomnadzor says it has no plans to carry out inspections of Facebook or Google, with whose representatives Russian officials say they’re eager to meet again. In April 2015, the Russian media reported that Google reached an agreement with Rostelecom, one of Russia's leading telecommunications providers, to rent server space in Russia. In April 2015, a Google spokesperson told Global Voices that these reports are “inaccurate,” refusing to elaborate. Very little is known about Facebook's efforts, or lack thereof, to move Russian user data to Russian servers. Roskomnadzor’s sudden acquiescence to Twitter is curious, especially in light of the Kremlin’s past efforts to gain access to the service’s user analytics. In fact, the agency’s desperation with Twitter led it in December 2014 to solicit bloggers directly, and rather embarrassingly, for “screenshots” of their analytics data, which Twitter has refused to provide to the Russian government. Moscow’s interest in Twitter has seemed only to grow in recent years. In the latter half of 2014, the Russian government’s requests for various users’ information increased 40 percent, according to a February 2015 transparency report. Petr Birger suggests that Moscow’s sudden willingness to back off the three Internet giants (Google, Facebook, and Twitter) might be an attempt to make up for the conflicting signals sent by Russia’s recent Internet regulations. For instance, the data-localization law demands that Internet companies make serious investments inside Russia, renting servers and ideally establishing legal representation. A host of other laws, however, like the bans on “suicide propaganda” and “drug propaganda,” mean that Internet companies in Russia today can be singled out, penalized, and even blocked—all for one errant comment left by an anonymous user. Roskomnadzor’s decision to delay any inspections of Facebook and Google, and its determination that Twitter isn’t affected by the data-localization law, demonstrate that the Kremlin is keeping its options open, while steering clear of any Internet cataclysm that might deprive the country of these ultra-popular services. Moscow, it seems, is betting that American Internet companies will invest in Russia, if they’re given a bit more time, and spared the full brunt of the country's many recent and repressive laws.